Ladies Day at Glorious Goodwood 2014. Pic: Christopher Ison (Courtesy of Gooodwood). Night Of Thunder’s trainer Richard Hannon is looking forward to having another crack at Solow in the £1million Qatar Sussex Stakes at Glorious Goodwood (3.10pm) today. Solow and Night Of Thunder clashed in the Queen Anne Stakes at Royal Ascot in June which was won impressively by the French-trained Solow, the victory extending his unbeaten run to seven starts. At Ascot Night Of Thunder – winner of the 2014 Qipco 2000 Guineas – raced close to the pace before tiring in the closing stages to finish fifth, four and three quarter length behind the winner who has trained at Chantilly by Freddy Head and ridden by Maxime Guyon. Solow heads the betting at 4-7 for today’s Group 1 contest from second favourite Night Of Thunder (11-2) and Arod (15-2). Hannon anticipates a bold effort from his charge. “Night of Thunder has four and three-quarter lengths to make up on Solow on Queen Anne form from Royal Ascot, but our fellow ran better than his finishing position suggests as he was still second at the furlong-pole but could not quicken up on that fast ground,” Hannon said on his website. “Night of Thunder’s chance has definitely increased by the weekend rain and that is why we have re-routed from the Prix Jacques le Marois at Deauville, and, while Solow will probably also appreciate this easier ground, this is another day and another track. 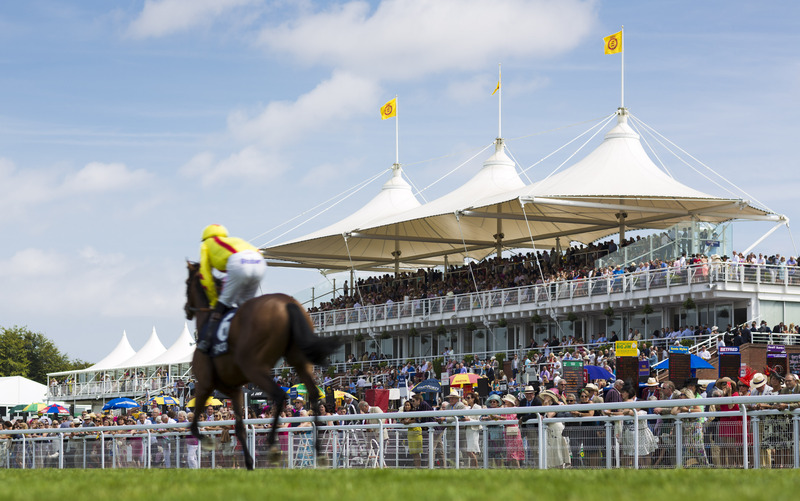 Hannon was in great form on the first day of Glorious Goodwood on Tuesday where he bagged a double that included winning the Group 2 Lennox Stakes with Toormore. Toormore led all the way for James Doyle in the day’s feature race to win by three quarters of a length on his first run in the ownership of Godolphin. “That win will have done his confidence the world of good and he thoroughly deserved it,” Hannon said. “It’s his first win since the Craven at the start of last season, but he has been running well in defeat and we have not had him in better nick for a long while, so we went to Goodwood full of hope. “Toormore is a horse with a lovely attitude and he is a pleasure to have on the place. He did it the hard way, but they came at him one by one and he beat them all off. “People forget that he was champion two-year-old, and he is a proper horse who will now step back up to the top level and run in the Prix Jacques le Marois at Deauville. The mile there will suit him better, though he has the class to get away with seven and we’ll look at races like the Prix de la Foret and Prix Moulin in France.